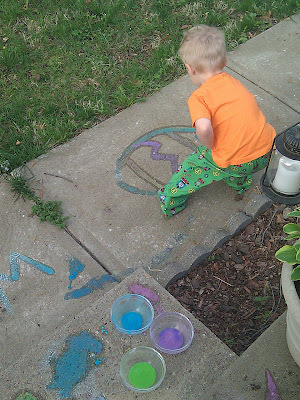 Here's a little taste of what has been going on in the Gates home. It's been so nice and we've been so busy because of it.....To start off Onion Rings. Who would of thought onion rings....and he eats the actual onion and not just the breading. We decided to go to Iowa for the week and stay with my sister while her husband was out of town...William got to hang with Poppy and his Bobcat. 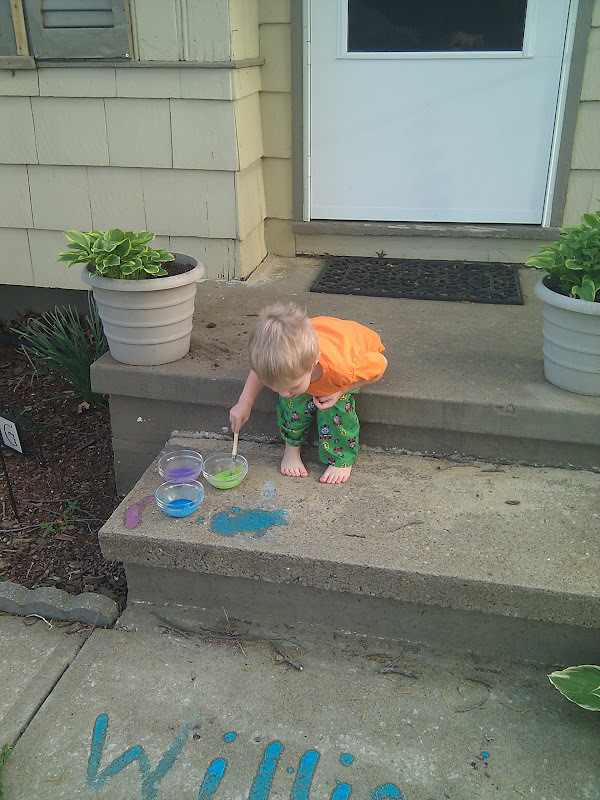 Then we made some sidewalk paint....cornstarch, water, and food coloring...easy! Yes William has girl clothes on....we didn't pack any cold clothes so Clarie's had to do. We were so busy I didn't have time to take a lot of pics....next time I'll have to make more effort! Then we came home and i made some more sidewalk paint....again, a little cornstarch, little water and food coloring...you have to try it! 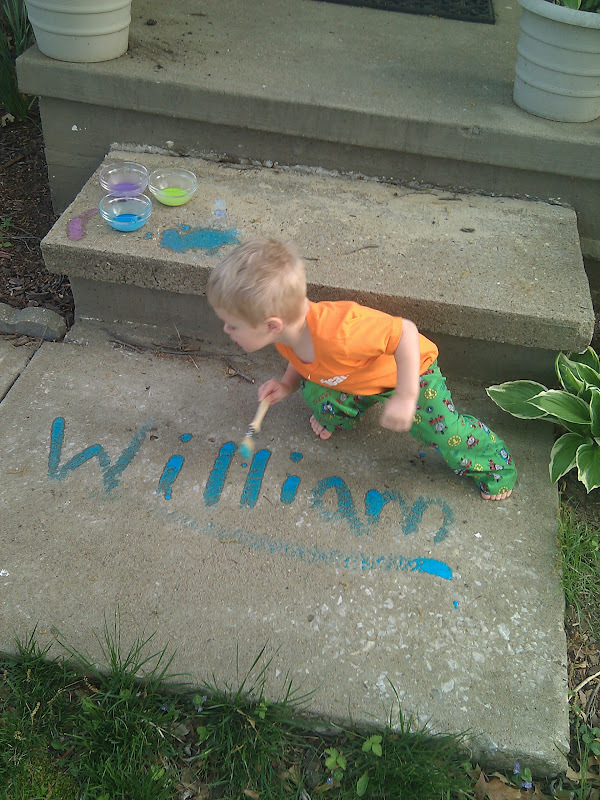 I painted Williams name and he made sure it got underlined....where do they come up with these things! ?